Really good This is one to keep on the shelf it may not be the best but if it was in high school it would have the grades to make the Ivy League. Nice Great in an old fashioned smooth with a nice finish. Dark and smooth Great rum with smooth flavour not a special rum but one that you need in your collection. A weekend afternoon drink on the deck. 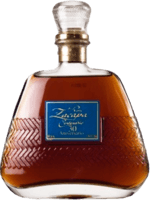 Very nice Very nice good for all rum drinker a bottle to have in your cabinet. A good find The thing is how many times are you in Hati. So not exactly the easiest to find but one to grab if you can smooth and nice. Smooth and enjoyable a great find. 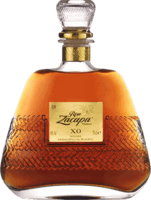 This rum does not disappoint great flavours that make it something to share. Vinilla This is good smooth but it is all vanilla. If you like drinking vinilla or vinilla coke this is for you. Sometimes cheaper is better It is a nice rum but not that special. I find that the12 and 15 year have a better overall flavour at a much better price point. Baby steps This is a good rum to start someone on if they are not sure if they want to start a rum collection and have a limited budget. Smooth but not great This is a nice rum smooth but it has a weak flavour structure nice and light. Spicy This is good rum, but should be taken as spiced rum. It is nice but it is almost to full of spice. 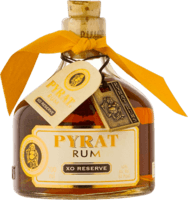 nice this is a nice rum low cost great in mixes good for summer party's. nice thiis has nice flavour at a great price can have it when ever you want and not real guilty or ripped off. Promis but nothing It should be good. You would think that for all Bacardi does in rum that this should be more. Good Good but did not have that special taste to give it a better ranking. Just not that great in my opinion. one of the better captains A good effort from the captain but it is still a rum for university students not a rum collectors choice to buy. Nice bottle. Cool bottle :( Don't judge a book by its cover the great outside has disappointment on the inside. its the same Captain Morgan is just a strong taste of molasses and strong bitter finish. Nothing to see here This is why people don't drink cheap white rum may work better in an engine.